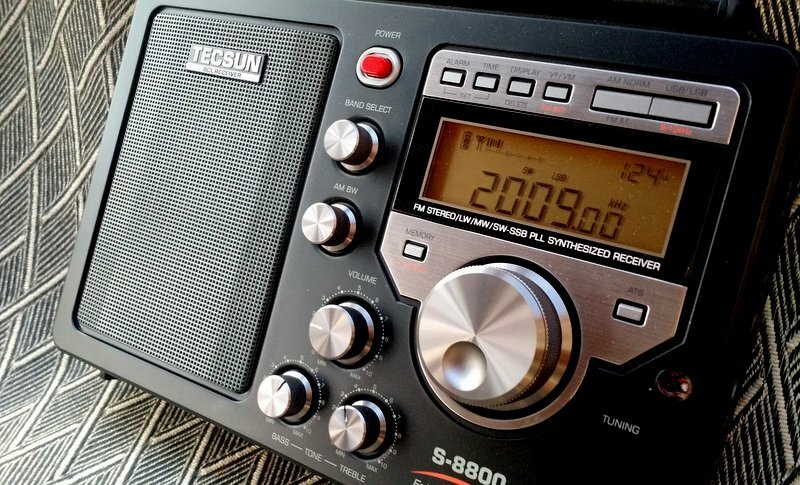 UPDATE: Click here to read our full review of the re-engineered Tecsun S-8800. Note that the post below refers to the first production run units only. If you’re considering purchasing the Tecsun S-8800, this is an important post. I’ve had the S-8800 for about two weeks and had planned to have audio clip comparisons prepared and posted by now. My exceptionally busy schedule has made this difficult–and there a few other complicating factors. First off, the good news: in terms of sensitivity, selectivity and audio fidelity, I’m very happy with the S-8800. I’ve compared it a number of times with the Tecsun PL-880 and the Sony ICF-SW7600GR and it either holds its own or even has a leg-up on both radios in terms of overall performance. I find that the S-8800’s AGC is more stable than my 1st generation PL-880. Of course, what will be most telling is what you, dear reader, think of the performance when compared in a blind audio test. As I mentioned, though, there are complicating factors–It’s not just my schedule which has made the S-8800 review come to a halt. Yes, birdies. Lots of them. At first, I thought the noises were due to the fact my mobile phone and Zoom H2N digital recorder were too close to the S-8800. I dismissed this interference as it didn’t sound like the typical steady tone/carrier birdies I’ve come to loath over the years. As my testing continued, though, I quickly realized these variable heterodyne and digital hash noises must be internally-generated. Quite literally, as I was outdoors testing the S-8800 and making this discovery last week, I received a message from SWLing Post contributor, Bertrand Stehle (F6GYY). You might recall, Bertrand provided us with an initial review of his S-8800e (the European version of the S-8800). He also started noticing the birdies and, like me, initially assumed they were due to an external source of RFI. The appearance and intensity of the birdies can vary depending on listening location and the strength of any nearby broadcast signals. I’ve noticed four distinct birdie sounds: a variable carrier, a steady carrier, digital hash, and something I might describe as digital variable noises. I’ve even noticed some change slightly as you move the radio around. Click here to view/listen via YouTube. Click here to view/listen on YouTube. Obviously, this is a major issue for an enthusiast-grade portable. I’m sharing all of this information with Anna at Anon-Co. No doubt, she’ll share this information with Tecsun engineering. The last I heard, projected availability of the S-8800 from Anon-Co is late March 2017. Perhaps there will be time for Tecsun to eliminate these birdies by improving internal grounding and/or shielding? Until the birdie issue is sorted out, I’m not proceeding with audio comparisons or a full review. It goes without saying that, at present, I couldn’t recommend purchasing the S-8800. Sad, because this is otherwise a great radio. I hope Tecsun can sort this out, though. I will share any/all updates here on the SWLing Post. Follow the tags S-8800 Birdies or S-8800. This entry was posted in Manufacturers, Mediumwave, New Products, News, Radios, Shortwave Radio and tagged Anon-Co, Bertrand Stehle (F6GYY), Birdies, S-8800, S-8800 Birdies, S-8800e, Tecsun, Tecsun S-8800, Tecsun S-8800 review, Tecsun S-8800e on February 12, 2017 by Thomas. I am thinking to purchase the S-8800…. has the Birdie issues been fixed? Really? Hopefully Thomas can get one of the updated radios for a review. Golan, the updated version is the one I reviewed. Those in Europe had to wait for the 8600e updated version to arrive. I’m really happy to hear the birdies were sorted out in it as well. There is an internal problem on the S8800, described as improper shielding from the Tecsun Factory, I was told…. That can be interaction between different circuits , creating heterodynes ….even worse, oscillator problems….with mixing products, appearing all allong the dial. Had many portables over the time..,.., have never seen that in such an etxtend….!!!!!!!!!!!!!!!!!!!!!!!!!!!!!!!! I was looking at the Tecsun series and it seems they are battery radios that you take a charged battery and insert it in to use it. although you can use a USB port or your own USB wall wart, It is not supplied. I think this is an end run around UL safety testing since it is not normally used connected to mains power. Has anyone looked for a UL, ETL or other NRTL safety certification certification? Sad to hear however the 8800e that I have with extended RX coverage down to 20kHz doesn’t seem to suffer quite the same way as your unit. I will be testing the unit tonight with the antenna disconnected to see what/if is being internally generated. Thank you, Rich: please share your findings with us. This was sad news, before I read about the S-8800 I was really close to buy the PL-880 but the reviews on that radio isn’t very good. I really like the idea of using 18650 batteries inthe radios. Had One of those a few years back. Stunk on ice. My pricey little Alinco scanner has a lot of birdies too, way more than it could handle with the 100 “Skip” memories it has. As if that wouldn’t be bad enough, it also transmits many of these birdies via the antenna, in a range of more than 30ft, so if it’s running it will cause “birdies” in other radios within that range. Thank you for your note, Ed! I do have a solar charge controller on my house that could cause noises like this. This afternoon, I’m actually in a different town with the S-8800 and still hear this noise though. Not as pronounced as earlier, but still there. I’m not really sure why, at times, it’s louder than at other times. Another case of poor QC from Chinese manufacturers (a.k.a. nearly ALL the manufacturers) of radios these days. I never buy a new model without checking out reviews by experts such as Thomas Witherspoon and Jay Allen. It’s a shame, as the S-8800 seems well designed but poorly executed. Hopefully, the issues will be ironed out before another production run. I would think improved shielding and grounding would make a huge difference. Thomas and Jay deserve a gold medal for their efforts. There is good HAM equipment around but the SWL is the stepson getting design hand-me-downs. Why are you recording the birdie sounds outside? It makes us newbies wonder if the chirping sound, that sounds like real birds, are actually real birds in the trees or if they’re also coming through the radio along with the other strange sounds. You should record these birdies inside to remove natural sounds from the background. Ha ha! I’m so used to hearing real birds where I live, I tune them out. I typically walk outside to make recordings to separate myself from any unintended RFI coming from inside the house (dimmer switches, switching power supplies, etc.). Good point, though I think the radio’s “birdies” are pretty obvious in these videos. It’s the variable/shifting tone coming from the radio. Birdies in this Sangean ATS-909X recording I made two weeks ago. This two year old radio also sounds exhausted. Whoops, wrong URL pasted above. here are the Sangean birdies. I know that the Kenwood TS-2000 is notorious for birdies, with it’s wide banded capabilities. I was able to reduce these by doing something that ICM (International Crystal manufacturers) engineers recommended to me. Ground the crystal cases to chassis ground by soldering a lead between the two. It reduced many birdies, but not totally eliminate them. I’ve do this also to other rigs and scanner radios with decent results. Where I originally got the idea from was looking at how commercial gear was manufactured, especially test gear. All crystals in my oscilloscope and spectrum analyzer have a leads on their crystals from case to chassis ground, so if it works for them, should work for me. Then I asked ICM. If you do this to your gear, I’d suggest that you try it with it out of warranty. Don’t apply too much heat to the crystal case for soldering on a lead, but be sure that it’s not a cold solder joint either. And if you do not really know what you are doing here, DON’T! However, if you are good at soldering, and want to try this on the Tecsun, or other rigs, I’d like to hear what the results are. Birdies are a deal killer. Thanks for warning us. Perhaps newer models will have the problem ironed out. I have to say I never knew what a “birdie” sounded like. I appreciate the examples. I also will say my Tecsun R9912 ($14 new) doesn’t have this problem. Hmmm nor does my R909 ($18 new). 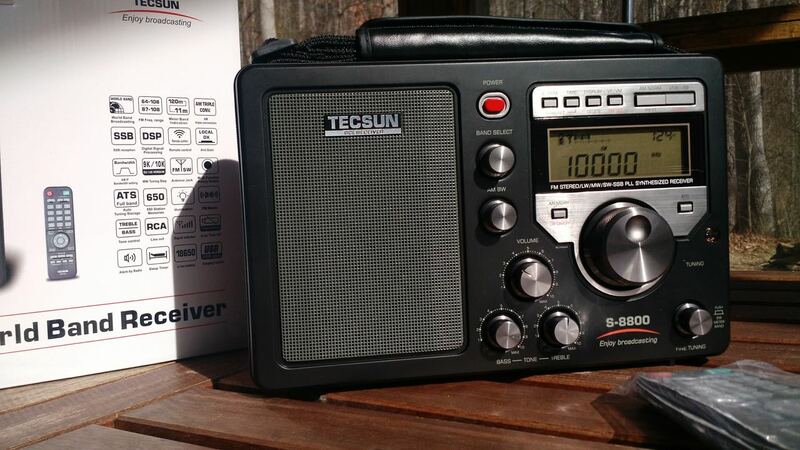 Don’t know why Tecsun insists on continuing these receivers when it has far superior ones elsewhere in its line.